Click Company in the dropdown menu in the upper right to go to the Company Settings page. The Users tab on the left will allow you to manage the users connected to your account. Click the Add User button to add a new user. Enter the new user’s email address and select their permission level. Full users have no restrictions. They can also delete and edit the permissions of other users. Limited users only have access to the features assigned to them. 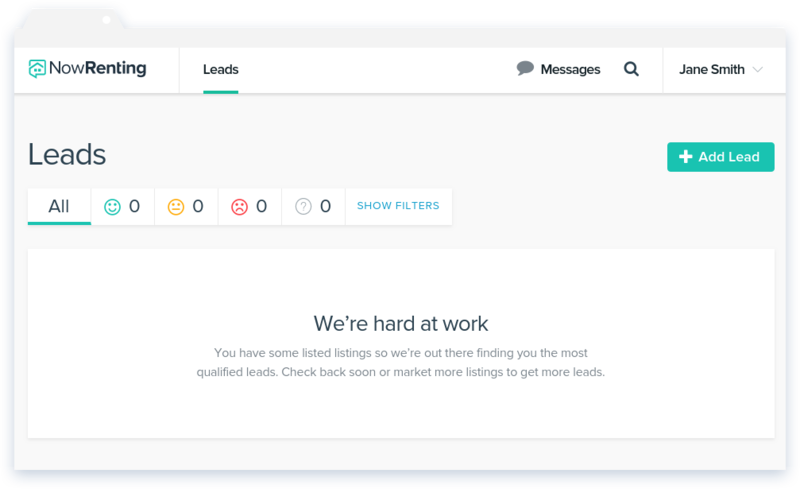 Assigned Leads allows them access to the Leads feature, but only for Leads that have been assigned to them. Listings allows them access to the Listings feature. You can always change a user’s permissions by clicking the pencil icon next to their name. 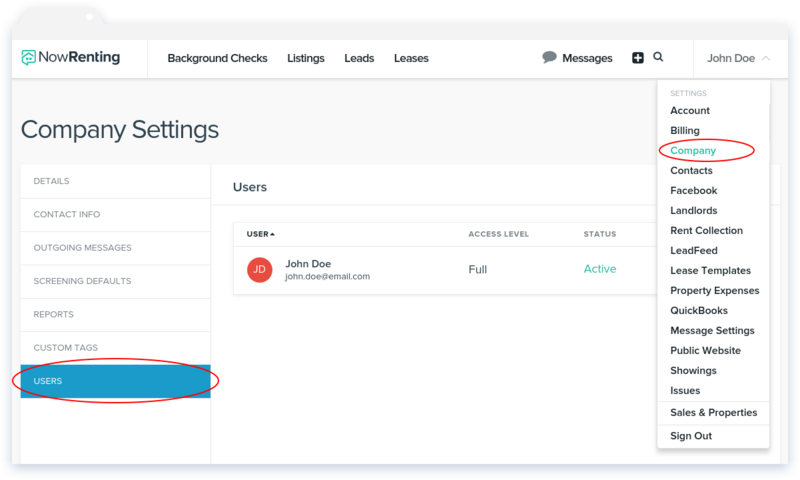 Read about how to assign Leads to a user here. Read about how to assign Listings to a user here. 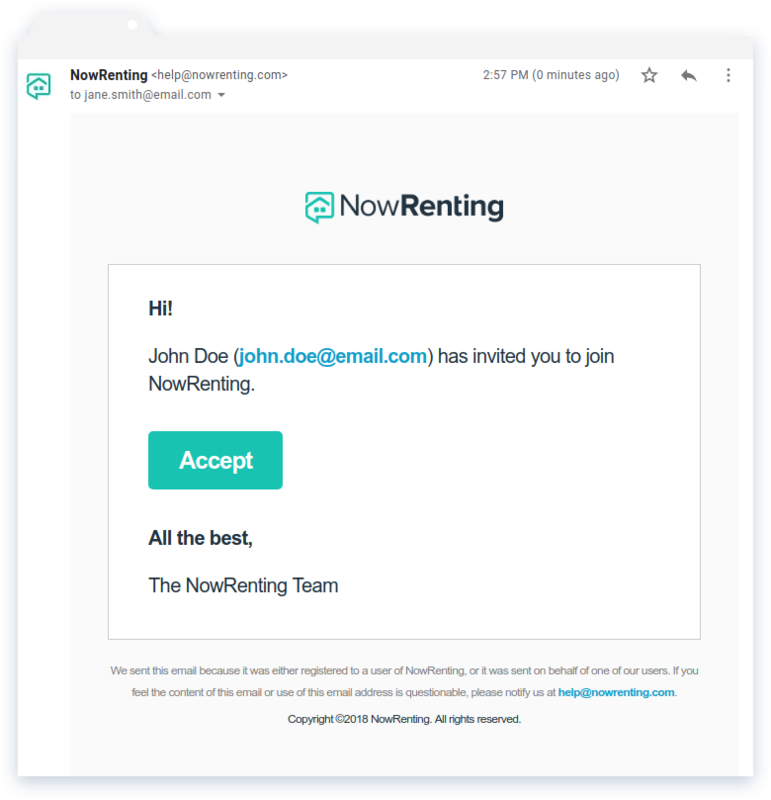 When a new user is invited to join NowRenting, they will get the email shown below. Click the Accept button. 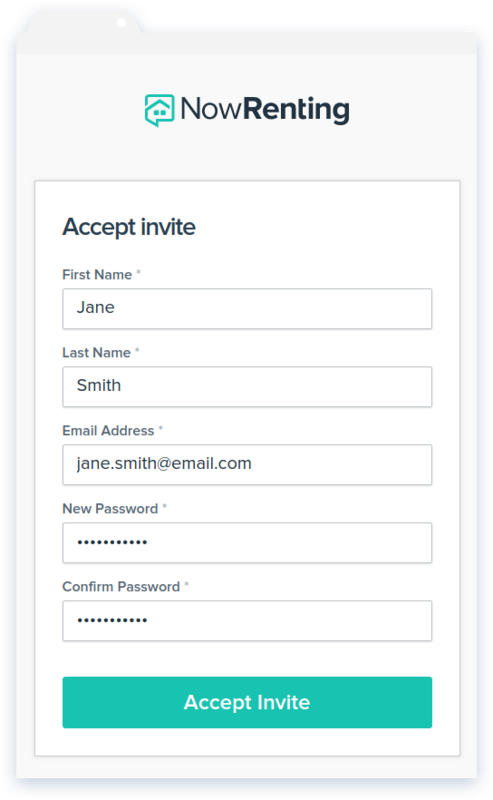 Enter your name and a password, and ensure that the email address shown is the one you want to use. Then click Accept Invite. 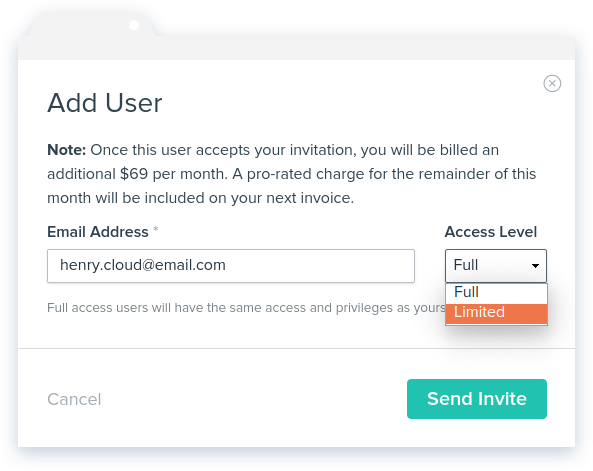 New users with Limited permissions will see only the features they have access to. If a user has the Assigned Leads feature, they won’t have any Leads until some are assigned to them, as shown below. They can also add Leads manually with the Add Lead button.